Dereham Walkers-are-welcome has its own Public liability insurance (pdf) provided by Zurich Insurance. Find the deer flyer (pdf). 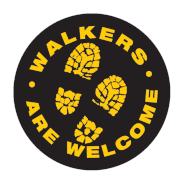 The National Walkers are Welcome body assesses each group annually and produce an accreditation report (pdf) for 2018. Footpath Warden report (pdf) for Dereham Town Council. Hoe Rough Walk flyer (pdf). A new venture ... Town History Walk (pdf). Map overlay of New Routes (pdf) produced by Norfolk County Council. New Routes Walk flyer (pdf). Town History Walk flyer (pdf). Constitution (pdf), version 2 confirmed without modification. Annual Public Meeting Minutes (pdf). Annual Public Meeting Agenda (pdf). Etling Green Walk flyer (pdf). The walk finishes at Church House in time for the Dereham WaW Annual Public Meeting. General Data Protection Regulation policy document (pdf). Fens & Meadows Walk flyer (pdf). The National Walkers are Welcome body assesses each group annually and produce an accreditation report (pdf) for 2017. Easter Monday Yaxham train (MNR) walk flyer (pdf). Easter Saturday, a 'Treasure Hunt for all the family', see flyer (pdf). Official launch of new walk packs. Annual Return to the national body as part of our accreditation as a Walkers are Welcome town. New Year's Day walk flyer (pdf). "Triple Treat" flyer (pdf) planned for Wednesday 25 October. A railway trip to Thuxton, walk back to Dereham followed by coffee and cake at Dereham railway station café. Garden Party Walk flyer (pdf). Another successful event for Dereham Walkers are Welcome with the 'Walking on Waters' Yaxham walk. Dereham Walkers are Welcome is proud to report the receipt by Ken Hawkins of a Citizen’s Award from Dereham Town Council. The award, made by the Mayor of Dereham - Hilary Bushell, was given to Ken in recognition of his work as voluntary Footpath Warden for the Town Council since 2013. Walking on Waters flyer (pdf). Adopt revised (version 2) constitution following suggestions presented at the APM. Tud Valley Walk flyer (pdf). A review of Dereham Walkers are Welcome progress. Also covering both the Simnel cake walk (April 15) and Walking in Wonderland (April 17). Dereham Walkers-are-welcome has its own Public liability insurance provided by Zurich Insurance. A summary report of Dereham Walkers are Welcome's first year. This is submitted to the national organisation as a formal record of our activity. "Ride and walk" is the latest venture from Dereham Walkers are Welcome. The 'ride' in this case is courtesy of Mid-Norfolk Railway. Formal application for Dereham to become a member of the national Walkers are Welcome group - along with 957 signatures of support. 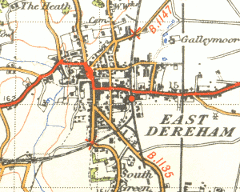 Dereham WaW constitution. Approved by the provisional committee on 25 March, 2016 with Ken Hawkins as 'Secretary' and Dorothy Sneesby as 'Treasurer'.